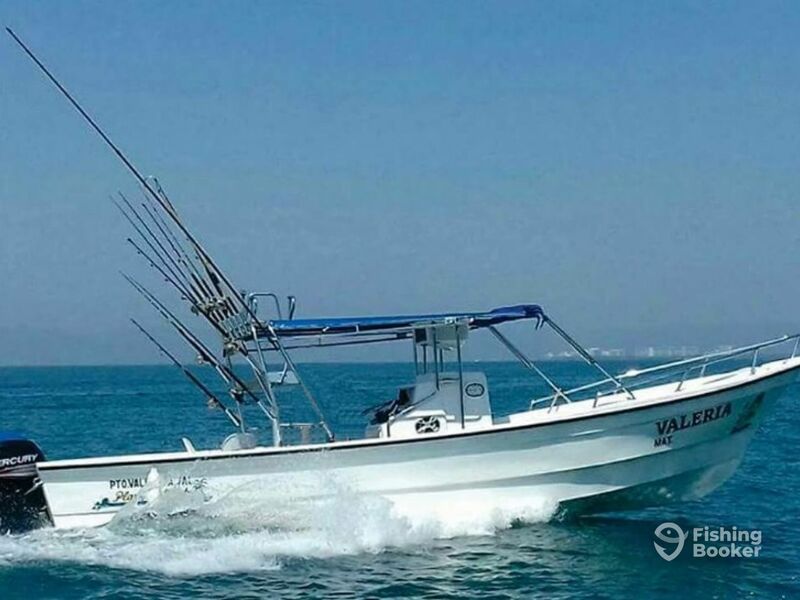 Valeria’s Sportfishing Tours is run by an enthusiastic crew who have all been on the water since they were little children. They are locals to the area and are able to put you the best spots and guarantee a fun day out. 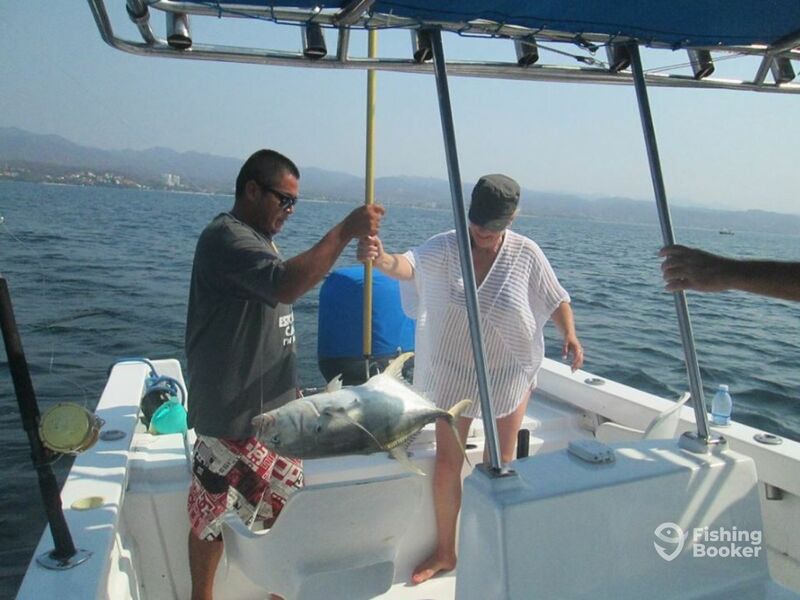 They will teach you about the different species of fish available in the Puerto Vallarta region as well as techniques needed to catch them. They are also skilled in snorkelling and are happy to take their guests on snorkeling tours so you get the best underwater experience. They have 2 boats which are the same specifications, one is 29 and one 30 feet. They are Nava Center console, build in 2016 and powered by two 115 HP Mercury engines with a cruising speed of 38 knots. 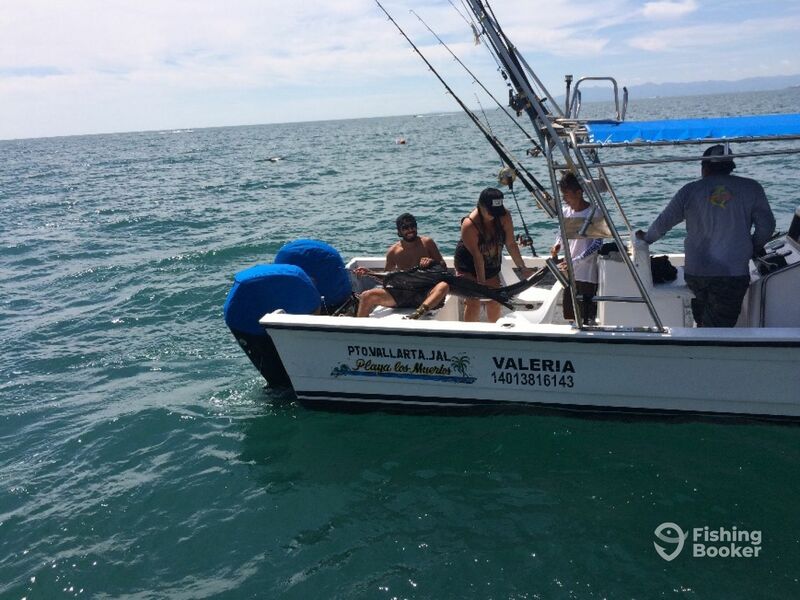 This makes for a fast and powerful ride on the clear waters of Puerto Vallarta. 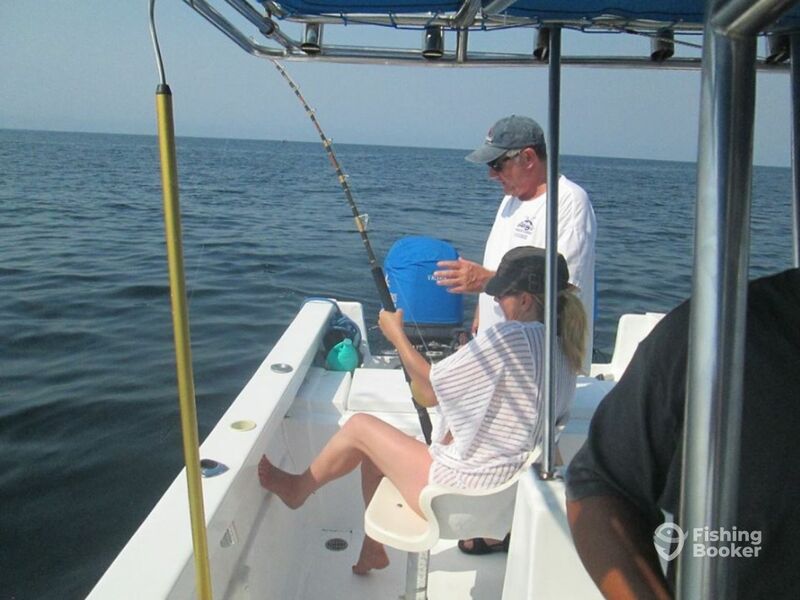 The boats are equipped with a GPS, a radar, a VHF radio and a fishfinder to locate great fishing spots. 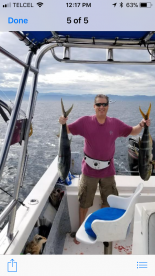 They also contain a toilet, a wireless trolling motor, life jackets, tuna tubes and ice boxes, as well as a fighting chair needed when tackling big game fish such as Marlins, and a much needed flybridge to provide shade from the warm Mexican sun. 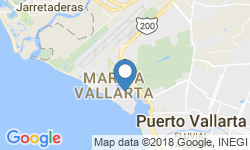 Valeria’s Sportfishing Tours crew are well experienced with different fishing techniques such as light and heavy tackle, trolling, spearfishing and snorkeling. 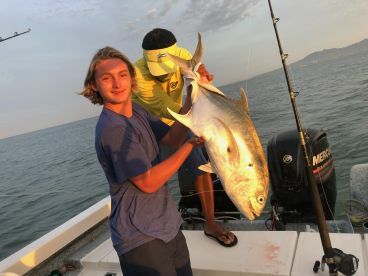 They are able to pass on their knowledge and equip you with skills needed to catch Jack Crevalle, Mahi Mahi, Roosterfish, Swordfish, Blackfin Tuna, Sailfish and Blue Marlins, as well as smaller species available in the local waters. They provide rods, reels and tackle, spearfishing and snorkeling equipment, live bait and lures, as well as fishing licences and drinks. They are also happy to clean and fillet your catch. 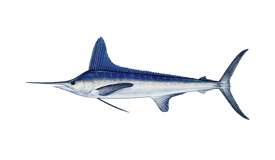 Travel further out and target game fish such as Mahi Mahi, Sailfish, and Marlin, as well as Tuna and Wahoo. Snorkeling is also available. 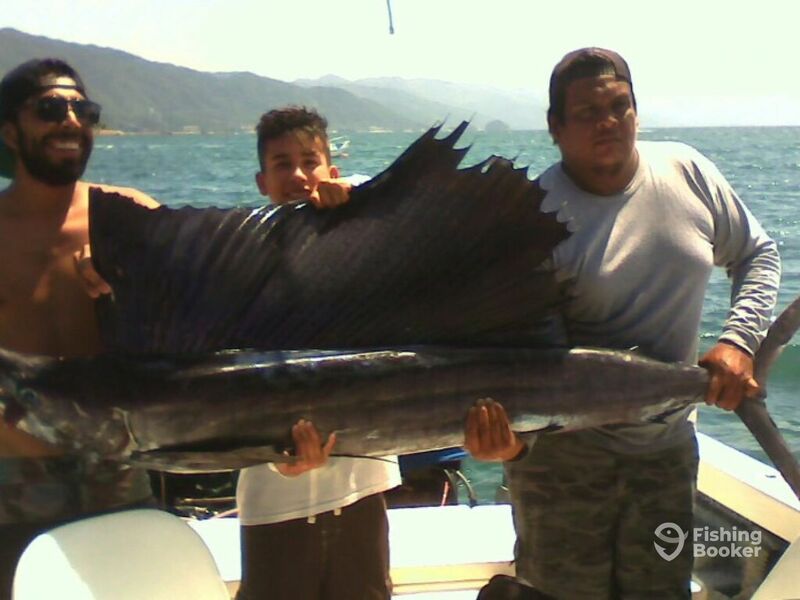 Four hours of fishing and/or snorkelling in the Bay of Banderas. 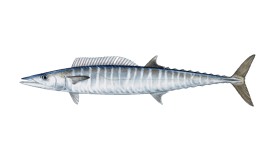 Species caught are Jack Cravelle, Rooster and Mahi Mahi. Nava (Center console) originally built in 2016. Powered by 2 115HP Mercury engines, with a maximum cruising speed of 38 knots. 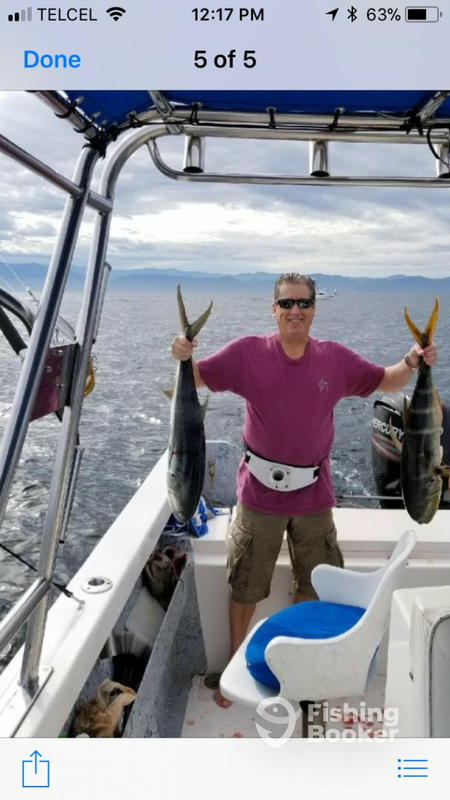 Jaime's family has been in the fishing business for generations, and he has decided to start his own charter operation which he is very passionate about. 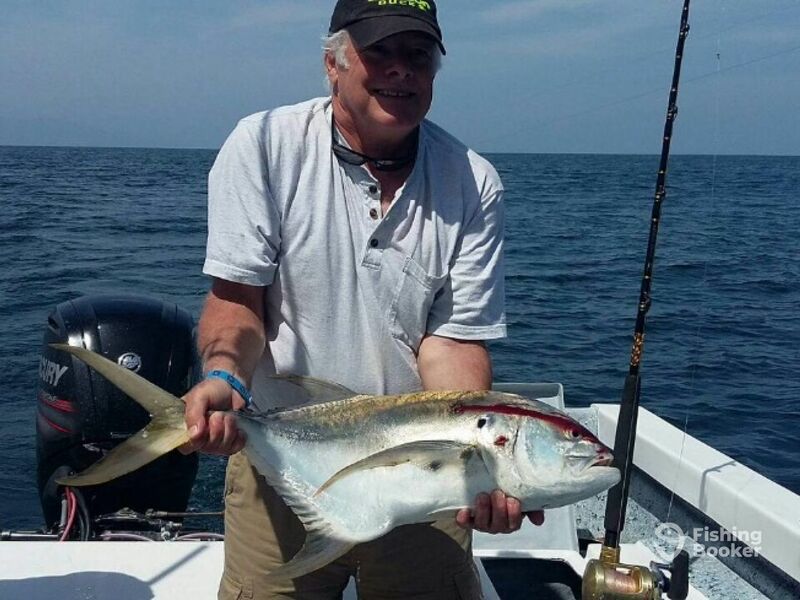 He loves fishing for Tunas as they put up a good fight, and loves being on the water with his friends and family, as well as his guests. He has been fishing since he was a little boy. Did 4 hours of fishing and caught 8 fish. Picked us up right at our dock at Paradise Village. Highly recommend! Well, this was not the best fishing trip for us. 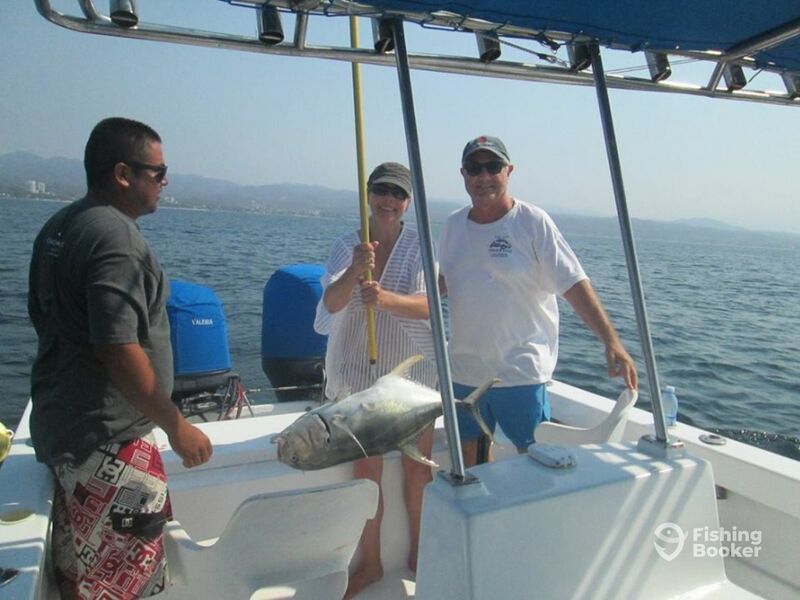 Yes, we caught a Yellow Tail, but there were communication issues about where to meet. We also very much wanted direction about how to bring in our fish, but we were really on our own. The tackle ie. the reels jammed. 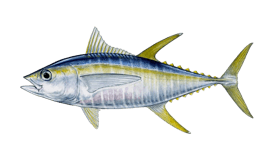 Also, there were Amberjacks that we would have loved to have caught, but the rod was not casting well, and we were short of bait. Jorge and his mate were kind, and filleted our fish which was great!